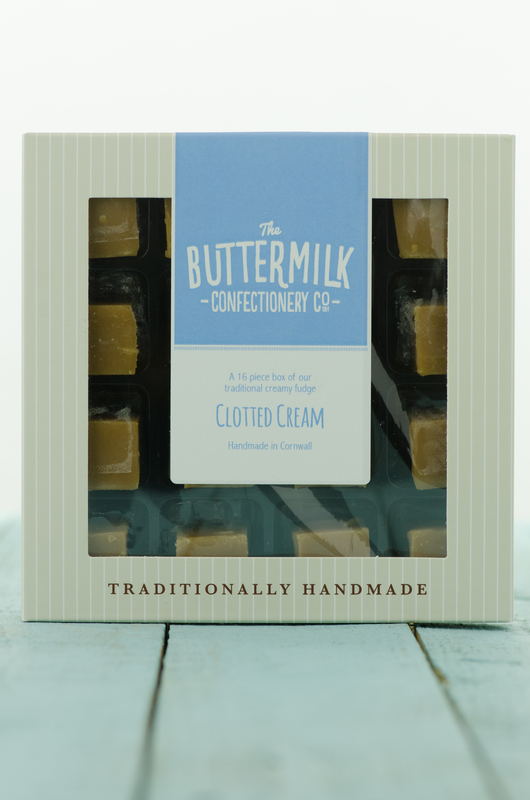 A 16 piece box of Buttermilk’s traditional creamy Cornish fudge. Buttermilk is a family run business, born and bred in Cornwall, now run by Tracy McGoad and David Goad. Their love and enthusiasm for everything sweet has been guiding their artisan confectionery since 1964. The story began with a shop in Padstow, which is still there today, and demand for their delicious fudge kept on growing until the kitchen over the shop just wasn’t big enough. They now have a brand new Buttermilk Kitchen in Bodmin, Cornwall. The award-winning treats are still lovingly handmade in-house by our craft confectioners using our traditional methods.